All other functions are being managed by the Council, to ensure greater control over which works are carried out where and when. These include: inspections, audits and road safety; co-ordination and licensing of roadworks; budget, contract, programme and asset management; street lighting; traffic management and control; customer services and scheme design. “Plymouth’s residents deserve highways services that are efficient, cost-effective, innovative and customer-focused. We want better control over which works are carried out where and when, so we can focus our resources where they are most needed, both locally and strategically. 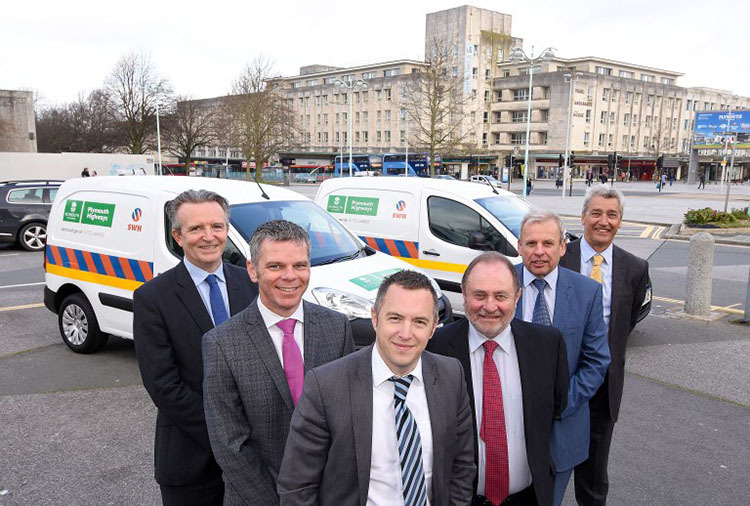 “While a number of functions have moved back to the Council, the Plymouth Highways contract is all about collaborative working. We will work with SWH, as well as Devon and Somerset County Councils, to find ways of providing better value for money and a more responsive service for our customers. “A lot of work has been going on behind the scenes to ensure services were transferred as seamlessly as possible – including changes to office spaces, IT, vehicles and equipment to staffing structures, health and safety, customer reporting channels and all the processes that sit behind the service. This entry was posted in Company News, Highways and tagged plymouth, south west highways by Sarah Cole. Bookmark this permalink.